New Jersey Landlord Tenant Laws are governed by multiple statutes, many of which are contained in Title 46. Some statutes of New Jersey Landlord Tenant Law are specified in other statutes, including N.J.S.A. 2A:39-1 through 2A:39-8, which states the laws for Forcible Entry and Detainer. All the statutes establish the rights and responsibilities of both landlords and tenants. No part of this information is meant to substitute for the advice of an attorney. If you have questions regarding New Jersey Landlord Tenant Law or believe you may have a case under these statutes, you should consult an attorney. Your lease may be a document that you created that asks your tenant’s name, phone number and place of employment. A rental agreement requires much more than just generic information. In 2012, New Jersey Landlord Tenant Laws were revised, with the “Final Report on Landlord and Tenant,” generated by the New Jersey Law Revision Commission on February 10, 2012 declaring that “The revision of laws governing landlords and tenants is long overdue.” The Commission cited a “need for clarity and consistency.” Your rental agreement and all your New Jersey Landlord Forms must also generate the same clarity and consistency. If a landlord fails to comply with these sections regarding registration of property, the owner can be fined up to $200 for each property not registered. If a landlord seeks possession of the property from the tenant, 46:8-33 stipulates that “In any action for possession instituted by a landlord who has failed to comply with the provisions of this act, no judgment for possession shall be entered until there has been compliance. The court shall continue such case for up to 90 days and if there has not been compliance within such period, the action shall be dismissed.” Avoid costly fines and other penalties by properly registering your rental properties and making sure that your tenants have a copy of the certificate of registration. In addition to the certificate of registration, New Jersey Landlord Forms can protect you and will give you leverage should the tenancy go bad and you have to file an action against a tenant. When you have essential New Jersey Landlord Forms, you have your signature, the tenant’s signature and the date that the forms are signed. American Apartment Owners Association can provide you with all the crucial New Jersey Landlord Forms. The rental agreement must be comprehensive, clearly stating the terms of the lease, while also ensuring that you are not violating New Jersey Landlord Tenant Laws, including statutes against certain terms or information in the lease or that is in violation of 46:8-36. “Waiver of rights by agreement; unenforceability.” This section states that “Any written or oral provision in any agreement whereby any tenant waives any rights under this act shall be deemed against public policy and unenforceable.” When you trust New Jersey Landlord Forms to supply your rental agreement form, you can feel confident that the rental agreement signed by you and your tenant establishes the terms of the rental agreement in a manner that is enforceable and does not violate New Jersey Landlord Tenant Laws. In addition to the rental agreement, other New Jersey Landlord Forms are crucial for you to have on hand at all times. The move in/move out checklist will permit both you and your tenant to agree to the condition of the premises in writing before the tenant moves in and again when the tenant moves out. Should there be any damages beyond normal wear and tear, you can use the move in/move out checklist to verify the condition of the premises in court. The notice of entry form allows you to give proper 24 hour notice that you intend to enter the premises to make repairs or improvements to the property. It is important to note, as stated by the New Jersey Department of Community Affairs, Division of Codes and Standards, the right of entry does not give landlords the right to enter the property without permission of the tenant or the Superior Court of New Jersey. Tenants are not required to provide landlords with a key to the premises unless the right to a key is stipulated in the lease or other document that specifies the landlord will be provided with a key. There is also no statute that prohibits landlords from having keys to the property. If a landlord enters the premises and commits an unlawful entry and detainer, the tenant can file a trespass complaint with the local police department. Make sure you comply with all statutes under New Jersey Landlord Tenant Law by including the notice of entry in your New Jersey Landlord Forms. Unlawful Entry and Detainer acts on the part of the tenant are defined and addressed by New Jersey Landlord Tenant Law statutes Actions for Unlawful Entry and Detainer N.J.S.A. 2A:39-1 through 2A:39-8. Other New Jersey Landlord Forms that are imperative includes rent receipts, disposition of the security deposit, past due rent, notice of termination of tenancy, mold addendum and other essential forms. Obtain all the necessary New Jersey Landlord Forms so that you can comply with your responsibilities under New Jersey Landlord Tenant Laws and to protect your rights as a landlord. The American Apartment Owners Association provides landlord forms nationwide. 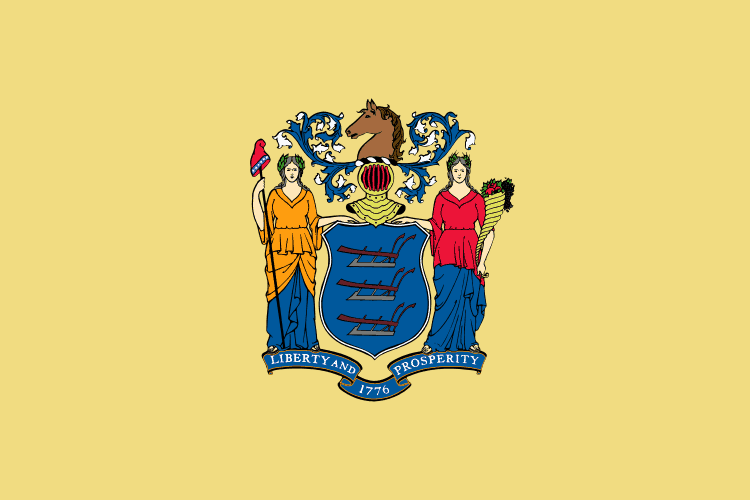 Looking for a state other than New Jersey?